The growing global plastics sustainability movement is one of the biggest potential disruptors for the plastics industry and is putting future plastics resin demand and billions of dollars of industry investments at risk, according to initial research from IHS Markit (London). 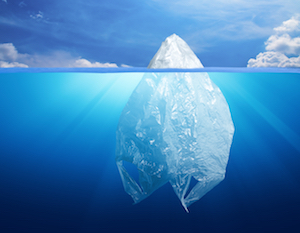 Sustainability efforts around plastics will, in fact, have significant implications for the entire petrochemical value chain, extending to feedstock markets, according to a new study, Plastics Sustainability – A Sea Change: Plastics Pathway to Sustainability. Images of the Great Pacific Garbage Patch, estimated to be larger than France and weighing in excess of 593 million pounds, have spurred many consumers to become “increasingly outspoken in regard to plastics use and recycling,” said the report. Consequently, this has led to a push for bans on plastics, particularly for single-use items such as food containers, drinking straws and cutlery, and amplified a call for alternative materials. However, as we in the plastics industry know and various studies have proven, the alternatives often are less eco-friendly and costlier in terms of energy use and resources. Thus, while consumer activism may have admirable goals—keeping waste plastic out of the environment—the entire petrochemical chain will feel the impact of these efforts, many of which are not based in sound scientific and economic facts. While the petrochemical value chain continues shifting with various market drivers, the IHS Markit study notes that “plastics sustainability is no less a fundamental driver.” However, “sustainability is, perhaps, one of the least understood market drivers from a demand, supply, regulatory and technology standpoint,” said Vafiadia. The research also includes insight and analysis from More Recycling, a consultancy focused on the recycling of postconsumer materials, specifically plastics, and Environmental Packaging International, a consultancy specializing in environmental compliance, product stewardship and sustainability related to packaging and products. All of this will be discussed at the upcoming Global Plastics Summit sponsored by IHS Markit and the Plastics Industry Association on Oct. 30 and Nov. 1 in Chicago.